Hello, every want to make your own lobby and thought on how to get a server for that lobby? Well here is how to get one easy and fast and even free if you time it right. Serveme: http://serveme.tf/ makes amazing server for free and for money. Heres how it works. #1: Sign in using your steam account. This allows them to save demos/logs to your account. #2: Now find where you want your server to be from. NA, EU, or AU. #3: Now see if you can find any free server that are open by clicking Feeling lucky for a random one or Lets play to choose one out of a list. After you click on it, it will bring you to all the server information. 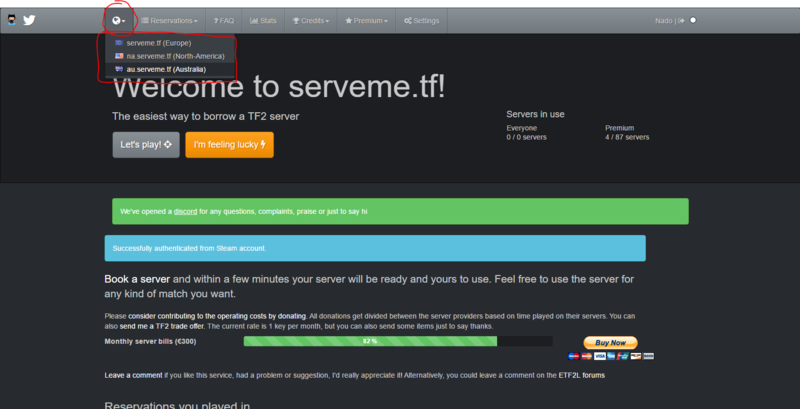 #4: Plug in your server info under tf2center, make sure you copy the info without any mistakes. Once doing so you can make your lobby. No servers open? Try buying premium for 1 key a month for over tuns 24/7 servers. 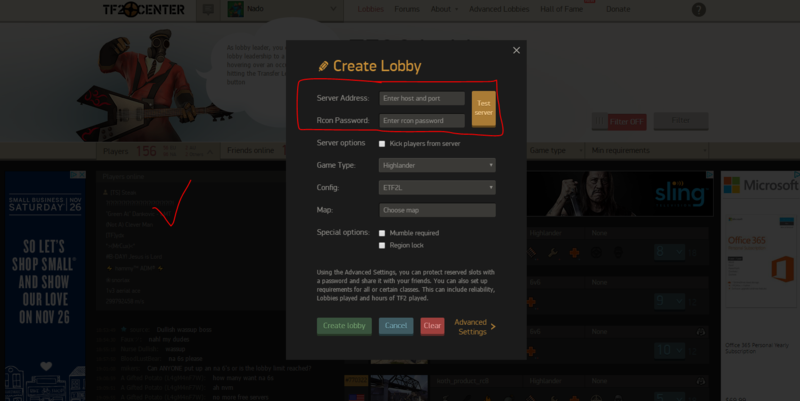 Every lobby that you play with these servers have auto logs and demos on the main site, its useful.